It seems that the most known languages that persons want to speak are Spanish, French, German, Mandarin, and English. My native tongue is English, and I have never known how to speak a different language. I have always wanted to be able to understand what everyone was saying in every dialog, to be honest. Unfortunately, without help from a computer-based language system that many people can use from a simple purchase of an app online or their smartphones, it would be impossible. I have heard of people that have been born with a specific gift but never one that can understand every language spoken known to man. And I have been amazed at how they could learn all those languages and remember how to talk in each one of them. A man named Ziad Fazah who is Lebanese holds a world record in speaking multiple languages. He speaks 58 different languages. How did he learn so many words? It is millions of people who struggle with learning only one language. Learning a different language takes time and dedication to be able to immerse yourself in the literature and not give up because it is too hard. The funny thing about being able to speak multiple languages is when out of all the dialogs you know, the one that you have not learned seems to be the one you need to know and understand the most to communicate with someone. Until you need to communicate with someone that talks in a different style that you do not understand. I have never been to Iceland, but it is a fact that there is a growing number of people who want to know how to learn Icelandic. Two hundred thousand people all over the world want to know how to learn Icelandic. I was thinking if this is the case, this must mean that thousands of people are looking to spend a considerable amount of time in Iceland or live there for an extended period. I love hot weather but on the other hand, if you like to ski and slide down mountains of snow living in Iceland would be the perfect place. It would not hurt to be able to learn Icelandic fast either. The real question is can anyone learn a different language quickly. Learning Icelandic does not have to be a long boring class that makes you feel forced to speak in a language that you have not entirely been able to understand the meaning of the wording. Here are some of the best ways that I have researched how to learn Icelandic fast. The same as learning anything fast you have to do it all time by immersing yourself in the Icelandic language. Another way to learn Icelandic fast is to always study the literature by using a translator that you have with you all the time and a dictionary so that you can learn how to pronounce the words, be able to spell the words and know the meaning of the words you will be speaking in Icelandic. A third and final way how you can learn Icelandic fast is to always take time out of the day to listen to the language. You can do this by listening to a song or any audio recording that people are speaking in Icelandic. At first, when listening to the audio recording, it will be confusing to you, or even irritating believe it or not but once you begin to comprehend the language then you will get it and not feel as though you want to stop the recording immediately. Using the world wide web to do everything in our lives except the call of nature is nothing new. How can it not be the best way to learn Icelandic online? All it takes is a simple search in the search bar typed how can I learn Icelandic, and you are on your way to everything you need to know about learning Icelandic. Let me tell you the best way to learn Icelandic online. Free; there are hundreds of free courses and resources online to learn Icelandic and any other language you want. Using google translator with your computer browser and not on the app with your phone. The reason for this is that it makes it easier to see, understand plus it is quicker to copy and paste. You can go to the Icelandic online website. Using an online app is also another good way to learn Icelandic online because you can access the app mobile and, on your computer. Most apps made today for language learning have all kind of exclusive extra features that can aid in learning Icelandic. You do not have to keep asking yourself how can I learn Icelandic once you have taken advantage of the world wide web. Everyone at some time in there lives wanted or needed to know how to speak another language due to all kinds of situation. I knew a guy once who wanted to learn how to talk another language only because he liked someone that he wanted to get to know. Knowing how to finally speak the language you wish to after working so hard to be able to be the best feeling in the world. I think that I will eventually commit myself to speak another language and stop procrastinating about learning how to. It is so easy to make excuses and not do something. 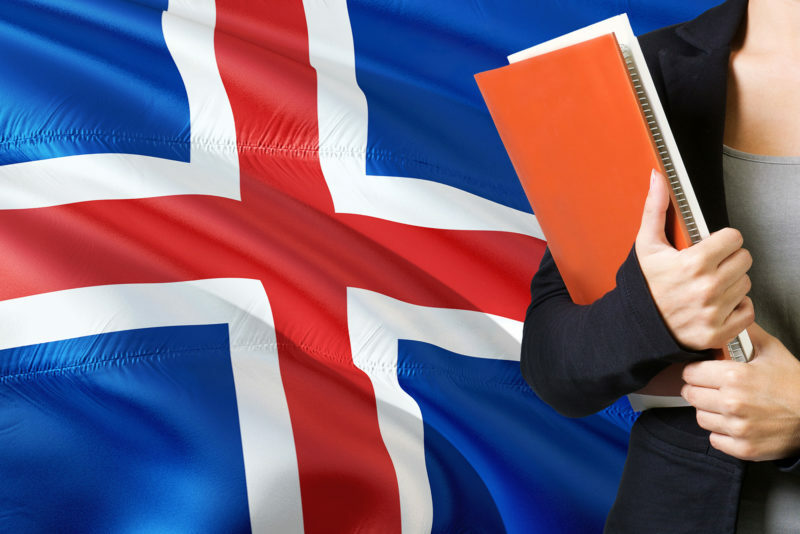 If you have finally made the decision that you are going to commit to learning Icelandic your everyday lifestyle, learning how to speak Icelandic fluently will be quick and easy for you. You will have learned the language so quickly that you will not recognize that you did not know how to speak the language all along. All you need to do is start doing everything you have learned while reading. Take time out of your busy schedule and start doing the one thing that matters the most to you and that is learning how to learn Icelandic fast. Learning a new language in Icelandic or any other language, you desire to learn can be done with a little effort starting today. How Long Will It Take to Learn Icelandic?